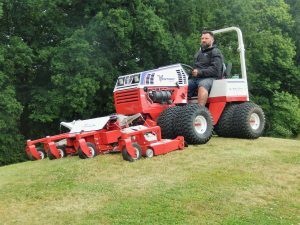 The Club Company, which owns and operates 13 country clubs across the UK, has taken delivery of two Ventrac 4500 compact tractors with Contour mowing deck and blowers attachments. Chris Brook is the Group Courses Manager, with responsibility for all greenkeeping activities across the company. He is also the Course Manager at the company’s flagship property, Castle Royle Golf and Country Club near Reading. 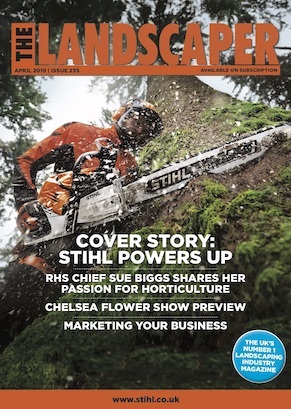 He said: “I’ve known Rupert Price, the owner of UK distributor Price Turfcare, for many years from his time at Ransomes Jacobsen. I will admit I was quite sceptical when he arrived with the machine for a demonstration at Castle Royle. I invited a small group of my course managers and was amazed, and surprised, at the machines capabilities. Considering it is under 25 hp it is remarkably powerful and can go anywhere. It really is the industry’s best kept secret. Paul Shepherd is the Course Manager at Nizels Golf and Country Club and has been with The Club Company for 10 years; the past four years as Course Manager at clubs across the group. He was previously Estate Manager for David Gold, one of the co-owners of West Ham FC and also worked at Wisley Golf Club. At Nizels he is responsible for a team of six greenkeepers and a gardener. “This is a phenomenally good machine,” he said. 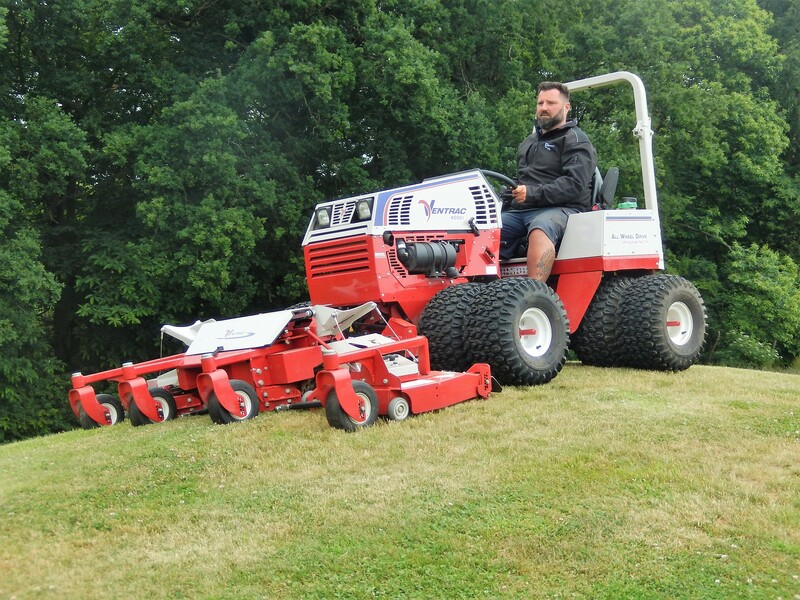 “Because of its versatility we can use it for various operations around the course. We use it on tee banks and for stripping the carry areas from tee box to the beginning of the fairway. The Contour deck is also used on the bunkers and we can move the jockey wheels to give us a greater overlap around the edges. The height of cut can be adjusted for use on both the rough and semi-rough and it’s great in wet conditions. I’ve driven it through waterlogged areas with no marking and on slopes the stability is reassuringly excellent.